Ph.D University of Madras Thesis titled ”Regulation of Securities Markets in India” Highly commended by examiner Prof James Angel Georgetown University USA, 1998. M.A. in Economics, Jadavpur University Kolkata Specialisation Econometrics High Second Class, 1979. B.A in Economics, University of Calcutta Economics (Honours) with Mathematics High Second Class, 1975. GCE (O) Level London University First Class 1970. Banking, Derivatives, Financial Regulation, and International Finance. Managerial Economics: Economic Tool for Today’s Decision Makers by P.G. Keat, P.K.Y Young and Sreejata Banerjee, Pearson Education Publishers New Delhi September 2006. Post Issue Operating Performance of Firms and Investor’s Perception in Two Regulatory Regimes in Decision, Indian Institute of Management Calcutta Vol. 23 No. 1-4 January-December 1996. The Indian Capital Market Regulatory Framework and Recent Developments in Emerging Markets Quarterly, Pub Institutional Investor Inc., NY, Vol. 2 No 3 Fall 1998. “Pricing of Initial Public Offerings: A Multivariate Model for IPO Issuers to Reduce Under pricing Without Risking Under-Subscription,” co-author Narasimhan, M S in “Management & Accounting Research” (Journal of Institute of Chartered Accountants of India), Vol. 5 No. 3, January-March, 2002 “Measuring Market Integration: How Integrated is the Stock Market in India? ” Finance India journal of Indian Institute of Finance Ashok Vihar, Phase II, Delhi 110052. 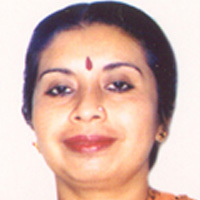 India co-author S. Sundaresh (refreed) September 2006 . Evolution of Stock Exchanges, Their Regulation and Experiences of Some Developed and Emerging Markets in Themes on Economic Development” ed: Joyshree Roy and Manash R. Gupta Allied Publishers and Jadavpur University (Calcutta) 2000 (refereed). “Analysis of Response to IPOs in India” Working Paper Centre for Financial Information IFMR Co-authored M.S. Narasimhan IIMB Sep 1998.